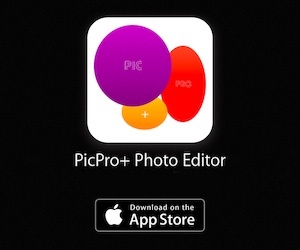 Are you looking for the best apps to editing, annotating and signing documents (PDFs) on your iPad or iPhone? If yes, here you can see 11 best Apps to sign, edit and annotate for iPad and iPhone. With the help of these best apps, you can underline, highlight or strikethrough text, add a note and write on the PDFs. 1. PDF Reader Pro Edition - Annotate,edit & sign PDFs ( iPhone + iPad + iMessage ) :- PDF Reader Pro Edition is one of the best and powerful apps to read, manage and annotate PDF files on iPad and iPhone. 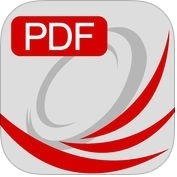 PDF Reader Pro edition app has lots of unique features such as powerful and optimized PDF reader engine, real-time online collaboration & chat, PDF forms support, full annotations, new easy review mode, fresh new user interface specially design to merge beautifully with iOS, share & collaborate, securely store your important PDF files, bookmark pages on your PDF files, vault folder, reflow mode, full web browser to download PDF files from the web, document manager, PDF hyperlinks support and more. 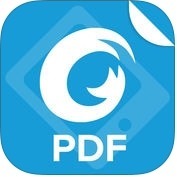 With the help of this PDF Reader Pro app, you can extract and email pages from a PDF file or create a new document using pages from an existing file, you can rotate a single page or the whole document and, you can also create multiple documents in PDF format, you can organize your PDFs into folders. 2. pdf-notes for iPad (pdf reader/viewer) :- With the help of pdf-notes app, you can manage all the pdf files on your iPad, you can glance over the page, when turning pages of pdf-notes fastly, you can easily import PDF files through DropBox, Email or Safari and, you can also quickly turn page and scan the contents with pdf-notes or paperbooks. pdf-notes has several powerful and user-friendly features such as useful finger-writing and email your notes to your friends, fast display, quick page-turning even a thousand pages, categorized multiple bookshelves with powerful search, portrait and landscape view, fast loading, easy "zoom-in and note" on a magnified screen by a double tap, exporting annotated PDF files to email, VGA out and screen brightness controls, AirPrint & multi-tasking, and much more. 3. PDF Expert 6 - Read, annotate & edit PDF documents ( iPhone + iPad ) :- Are you looking for the best app for managing, editing and reading PDFs your iPhone and iPad? If yes, you can use PDF Expert 6. With the help of this PDF Expert 6 app, you can mark important & useful information in books, journals or documents with the first class annotation tools, you can create diagrams and schemes using shapes such as arrows, circles or rectangles, you can work with static PDF forms created in Adobe Acrobat, you can fill out any PDF forms with interactive fields such as text fields, you can use e-signatures to sign contracts and agreements on the go and, sign documents with signatures synchronized across all your iPad, iPhone & Mac, you can draw with your finger or Apple Pencil to make handwritten notes or highlight text in scanned books, you can protect your files from unauthorized reading with a password and, you can work in the Cloud. 4. 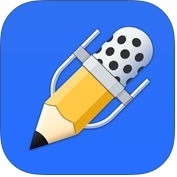 Notability ( iPhone + iPad ) :- If you want to use a powerful, simple note-taking and full-featured PDF annotation app on your iPhone and iPad, you can install Notability app. 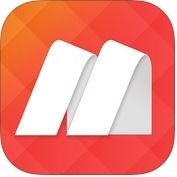 This app is very useful for businessman, students and teachers, to take notes, sketch ideas, annotate PDFs, mark-up photos, record lectures, provide audio feedback and more. With the help of Notability app, you can save your time, you can write smoothly, quickly with zoom-writing & beautiful ink, you can draw perfectly straight lines for graphs, designs and shapes, you can write naturally anywhere, anytime, you can import document and ppt files with the help of Google Drive, you can fill-out, sign and send PDF forms, you can get more out of your lectures and meetings when you record them and, you can also organize and share notes. 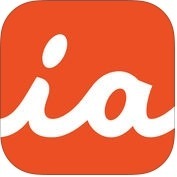 5. iAnnotate 4 - read, markup and share PDFs and more ( iPhone + iPad ) :- iAnnotate 4 is one of the best, effective and user-friendly apps to sign, edit and annotate for iPhone and iPad users. iAnnotate 4 has lots of amazing and advance features such as automatic Apple Pencil detection, shape annotations, improved web markup, enhanced support for OneDrive, iCloud Drive and iCloud backup, cutomizable set of features make it the go-to app for taking notes on lecture slides, annotating important business documents, drag and drop tools to your custom toolbars, connect with Box, Dropbox, Google Drive, or open PDFs directly from email and other apps, flatten, web markup and, more. With the help of iAnnotate app, you can search documents in your local library and throughout your cloud storage, you can explore your documents by thumbnails, bookmarks, annotations or search results and, you can also create brand new PDFs with blank, lined or graph-paper pages. 6. 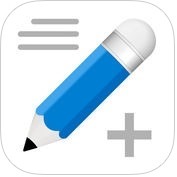 Notes Writer+: Take Notes, Annotate and Edit PDF ( iPhone + iPad ) :- With the help of Notes Writer + app, you can type, handwrite, annotate, draw, highlight, scan, record notes and documents anywhere, anytime, you can create rich text format and advanced markdown documents, you can create your notebooks & tree-like projects, you can insert special symbols arrows, maths, bullets or stars, GPS location and more, you can sign with your own signature documents, contracts forms, you can organize your work in unlimited notebooks, folders and subfolders, you can sync your notebooks and projects with popular scrivener writing software for Mac and Windows, you can use the camera of your iPad or iPhone to scan documents, notes, recipes, tickets etc as PDF and, you can also convert to multiple formats. 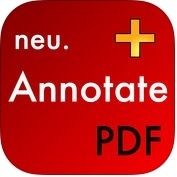 7. neu.Annotate+ PDF ( iPhone + iPad ) :- Do you want to read and annotate PDF documents on your iPhone and iPad? If yes, you can use new.Annotate+PDF app on your iPhone and iPad. This annotate PDF app has lots of unique and user-interface features such as annotation, PDF document reader, highlight text, add text notes, free-hand drawing, stamps & photos, fill out and sign documents, insert blank pages, rotate page orientation, organize documents using tags, iCloud syncing between multiple devices, import or export from or to Dropbox, Box etc, navigate document using table of contents, protect documents from modifications and, more. You can also arrange annotations top to bottom and, create new PDF documents. 8. 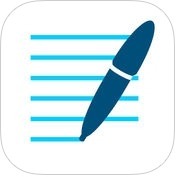 GoodNotes 4 - Notes & PDF ( iPhone + iPad ) :- If you want to use beautiful handwritten notes and annotate PDF documents on your iPhone and iPad, you can install GoodNotes 4 app on your iPhone and iPad that synchronize between your iPad and iPhone automatically. With the help of GoodNotes 4 app, you can make your handwritten Notes last forever, you can search handwritten notes (OCR), you can type with the keyboard, insert images, or draw perfect shape easily, you can mix between any kind of papers or even insert PDF document inside a notebook, you can add your own template with an image or a PDF file, you can write quickly with your fingers or with a stylus in a large area, you can protect your valuable data and, you can also backup your data to Box, Dropbox, Google Drive or SkyDrive automatically. 9. 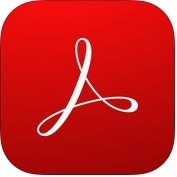 Adobe Acrobat Reader: View, Create, & Convert PDFs ( iPhone + iPad ) :- Adobe Acrobat Reader is one of the most trusted and advance featured apps to sign, edit and annotate on iPad and iPhone. With the help of Adobe Acrobat Reader app, you can quickly open PDF documents from email or any app that supports, you can make comments on PDFs using sticky notes and drawing tools, you can use Apple Pencil with iPad Pro for even greater precision, you can scan multiple document pages into a single PDF and reorder tham as desired, you can use your device camera to snap a photo of anything, you can use your finger or Apple Pencil to e-sign any PDF document, you can easily save and share scanned PDFs and, you can also store and share files. 10. 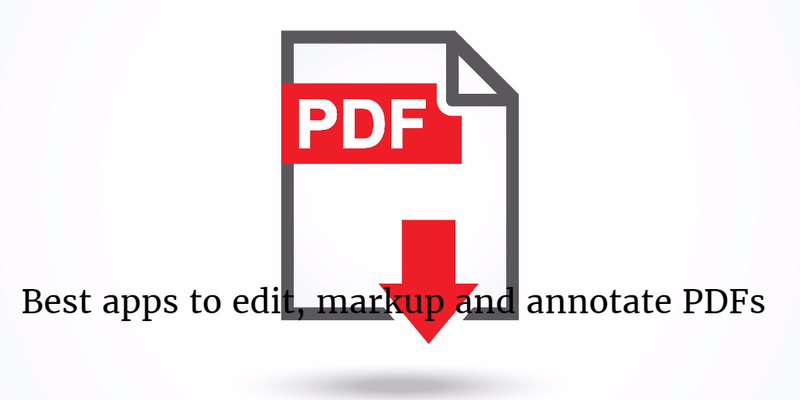 PDF Markup - Annotate PDFs and Web Pages ( iPhone + iPad + iMessage ) :- With the help of PDF Markup app, you can add PDF annotations, sign/write on documents, highlight web pages, and back up files with all the popular cloud storage services directly from your iPad and iPhone. 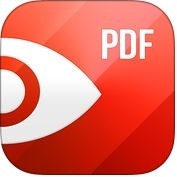 PDF Markup app has lots of powerful and unique features such as document viewer and annotator, sign documents & fill forms, sync your highlights through multiple devices, export your scans as one PDF, secure your scans with password protection, file transfer and backup, kdan cloud services-sign up for free and, you can also track your reading activities & total time spent and, share reading achievements with friends. 11. Foxit PDF - PDF reader, editor, form, signature ( iPhone + iPad ) :- Are you looking for one of the best and perfect PDF reader, editor, form and signature apps? If yes, you can use Foxit PDF app on your iPhone and iPad that is easy-to-use PDF reader which allows you to view, annotate, and save PDF files on iPad and iPhone while on the go. With the help of Foxit PDF app, you can protect PDF files with password and Microsoft Rights Management Services, you can sign PDF documents with digital certificates, you can save, synchronize and access PDF files in OneDrive business, you can view, organize and edit PDF files and, you can also create and combine PDF files.